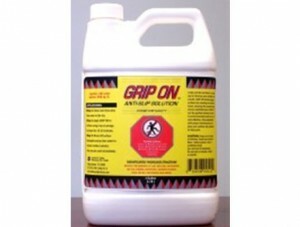 Grip On Anti-Slip Solution (1 Gallon) is a proven safety method for owners of residential and commercial properties and facilities. When surfaces become wet or moist, those surfaces become more skid and slip resistant due to the increased coefficient of friction that has been gained when treated with Grip On Anti-Slip Solution. Grip On’s application greatly reduces the potential for injury from slippery and wet floors. 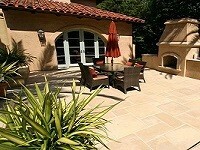 The solution can be used on almost all hard surfaces, such as ceramic tile, glazed brick, marble, polished stone, terrazzo, river rock, concrete, and quarry tile.